This kitchen is all about contrast, in color and textured grain using two or our popular Wood-Grain Foil door styles. Hincley is a Wood Grain Foil option with a mitered wedge profile that highlights the use of vertical and horizontal graining together. Ladon is our slab surface Wood Grain Foil with simple vertical graining. 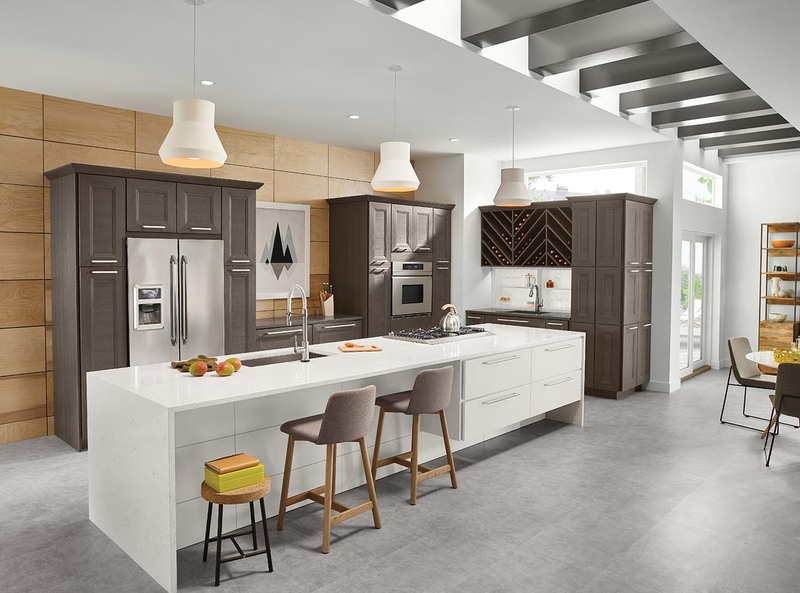 Click the button below to add the The Masterpiece® Collection Hincley in Cannon Grey Wood-Grain Foil and Ladon in Dove White Wood-Grain Foil to your wish list.